We’d love your help. 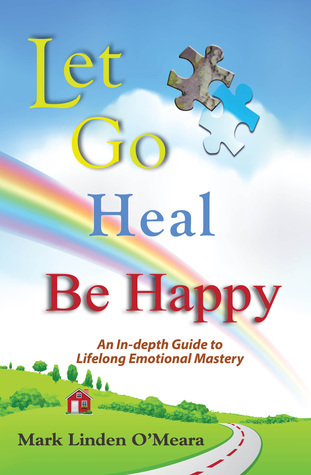 Let us know what’s wrong with this preview of Let Go, Heal, Be Happy by Mark Linden O'Meara. Let Go, Heal, Be Happy helps you learn about emotions and human nature, gain insight, develop new beliefs Sometimes life can present difficulties that leave you feeling unbalanced and with unresolved emotions, or perhaps you have never fully let go of events from the past. We’ve all been told “just let it go”, yet it’s been hard for you to do that. This book shows you how. Let Go, Heal, Be Happy helps you learn about emotions and human nature, gain insight, develop new beliefs, heal, and ultimately transform adversity into strength, resilience and a new found sense of joy. Through tears, laughter, and self-expression you can begin to restore joy and satisfaction in your life. Written in a friendly, entertaining and caring style, Mark walks you through awareness, change, and transformation to ultimately increase your self-knowledge, self-expression, and happiness. To ask other readers questions about Let Go, Heal, Be Happy, please sign up.